Move your feet to the funky beat (and other cliched lyrics). Since the beginning of human civilization, where rebellious young cavemen would irritate their neighbors by banging on hidebound drums, music has been man’s most primal form of expression. 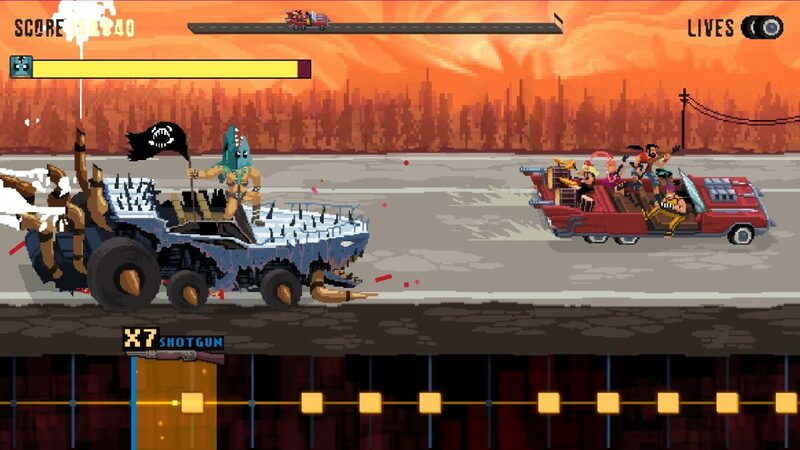 It took a little while, but rhythm games – where your objective is to mash buttons in time with a beat – also entered the cultural lexicon way back in the primordial times of the 1990’s. Here, the Hey Poor Player team gets together to catalogue ten of the beat-droppingest, pop-lockingest musical marvels ever to grace gaming. Sometimes it’s hard to fathom what on earth inspired a game. This is seldom more true than in the case of Parappa the Rapper: the quintessential story of a rapping dog trying to musically win the love of a sentient flower girl. You play as Parappa in his epic quest for self-improvement. Bizarrely, this seems to come in the form of copying – word for word, and beat for beat – the lyrical stylings of the various mentors he comes across. Firstly, Parappa encounters a martial arts instructor with the head of an onion who teaches the head-bobbing canine some rhythmic karate skills and self-confidence. Parappa goes on to encounter a soulful moose driving instructor and a Jamaican frog street vendor. 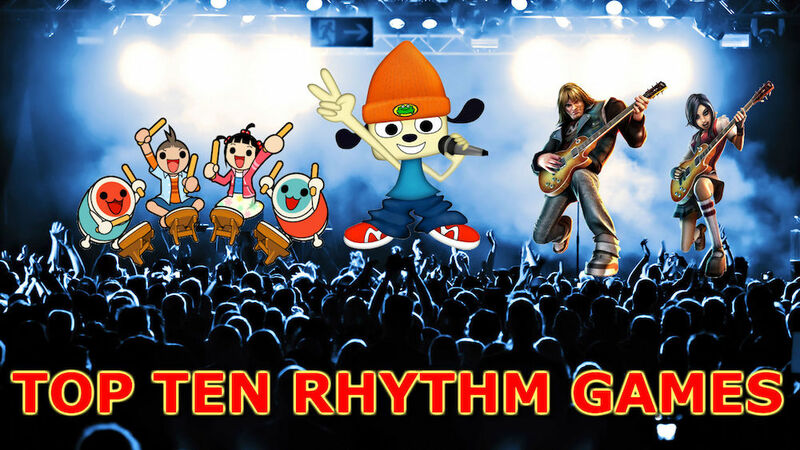 To pass each level of Parappa the Rapper, you have to hit buttons in time to mimic your lyrical conterpart. Just to ramp up the pressure even more, if you start slipping in the timing of your button presses, the music and scenery changes. Sometimes the background tune will change to a minor key, or start including farting or squelching noises as if to underscore your sub-par performance, making every level feel like an epic struggle to keep your beat tight. What was immediately timeless about Parappa the Rapper when it was released back in 1998 was how the characters were these 2D cut-outs inhabiting an otherwise 3D world. The weird and wonderful art in the game was designed by Rodney Greenblat, an American illustrator who became immensely popular in Japan. Parappa the Rapper went on to become a huge success, even spawning a 30 episode TV series in Japan. 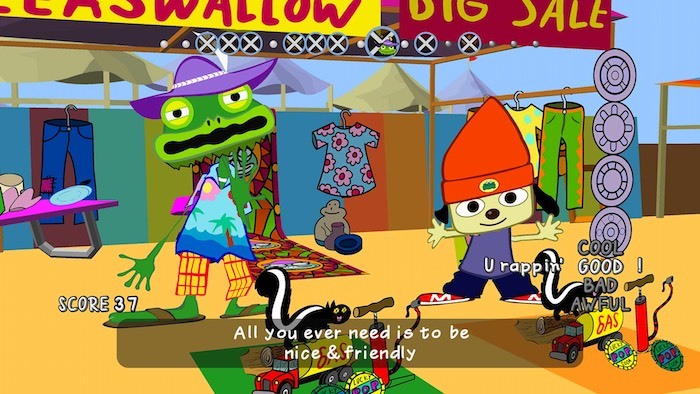 A sequel also followed: Parappa the Rapper 2, where the absurdity is ramped up to even greater levels. In it, Parappa must foil the plans of a twisted genius who wants to transform all the world’s food into noodles (I hope you don’t have an egg allergy). 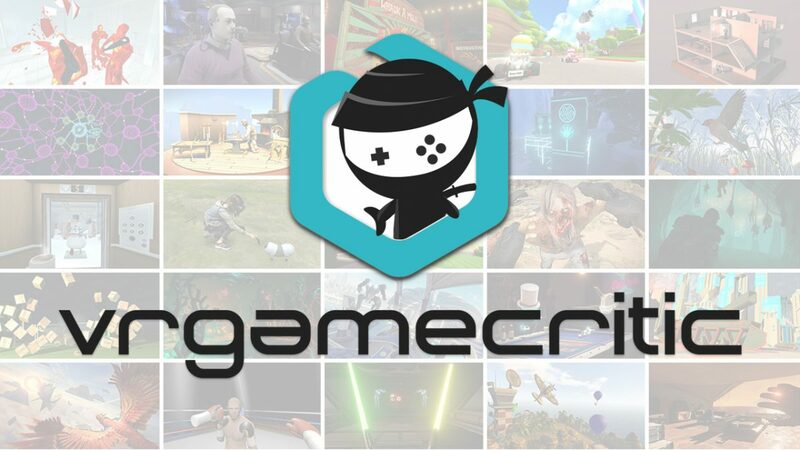 Both the first and second iterations of the Parappa series can be found on Playstation network so be sure to snap them up if you didn’t experience them the first go-around! I get excited by rhythm mechanics in unusual places. Naturally, then, I was excited that this list was being made, and I can say with certainty that I can personally back everything on here. The one game above all others that I wanted to make sure absolutely made it on was 2015’s Crypt of the NecroDancer. I love seeing roguelikes done well, and I love rhythm mechanics done well. Crypt of the NecroDancer is both, at once individually and in a funky intertwined dance. You want to headbang while you slay wolves and groovin’ mushroom men? Well get your headphones ready to do those two particular things, and a whole bunch more. The magic NecroDancer employs is actually pretty simple. It’s a rougelike dungeon-crawler, all set to the rhythm of either Danny Baranowsky’s latest works of genius or whatever music you have on your computer. That’s right; in the same form as stuff like Audiosurf, Crypt of the NecroDancer allows players to pull in any .mp3 file with some traceable beat to use as background. 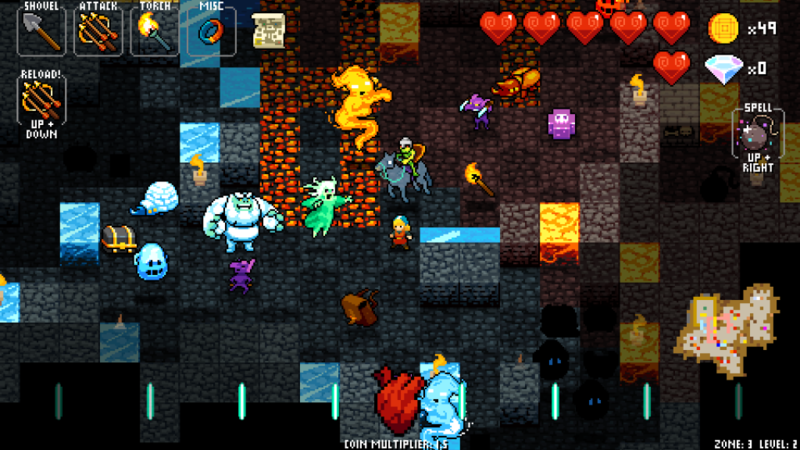 A rhythm-based roguelike is a strange order to fill, but it’s done superbly. The only controls you truly need to know are directional, walking with every beat to build up multipliers that help you along your adventure. Attacks are all based on those same directions. Really, NecroDancer is the most extreme game of DDR you’ll ever play. Go through and fight imaginative demons and monsters to your favorite dubstep, indie rock, or low-fi vaporwave track. Whatever it is that the kids like these days. What a funny one this is. To answer the first and foremost question on some folks’ minds, yes, I picked Rock Band 2 over 3 or Beatles. While I love all of the games in Rock Band’s storied franchise – yes, even that weird Green Day one – I can’t deny that 2 has it all. It’s the widest appeal of music possible, really, with everything from hard rock and metal to strange alternative stuff. 3 was great, but a lot of its library felt more focused around making the keytar cool than building a robust library of music. Outside of that distinction, what makes Rock Band 2, or any of the games, so good? Part of it is the simulation of it all. We all love immersion in games. Especially here, after all; we’re game journalists! We can’t stop using the dang term. “Immersion” is right up there with “visceral” and “The Dark Souls of…” as some of the most-used lingo in the industry. What makes Rock Band immersive is the roleplay at hand. There was so much magic to being 13, standing in front of my TV with a silly plastic guitar on me, jamming out to Foreigner’s “Cold as Ice,” closely followed by “Nine in the Afternoon” by Panic! At the Disco. I have these really dorky memories of playing the vocal part in songs my mid-pubescence voice had no right screeching out, pantomiming all the while, just to be as goofy and into it as if I were actually performing onstage. 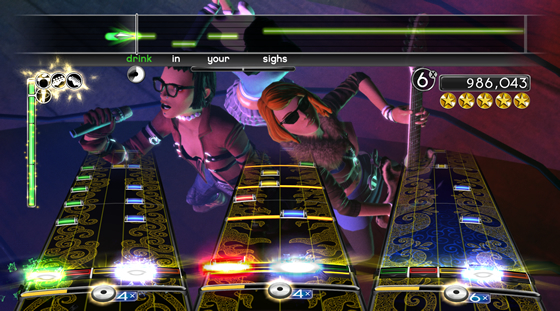 Rock Band 2 was more than a rhythm game; it was a costume closet. Try one on, pull out those cheap drumsticks or USB microphone, and go to town.